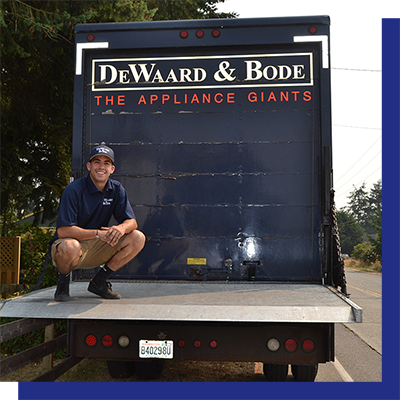 DeWaard & Bode makes getting your order to your home easy. Our professional delivery and installation teams will work with you to find days and times that work best for your schedule. 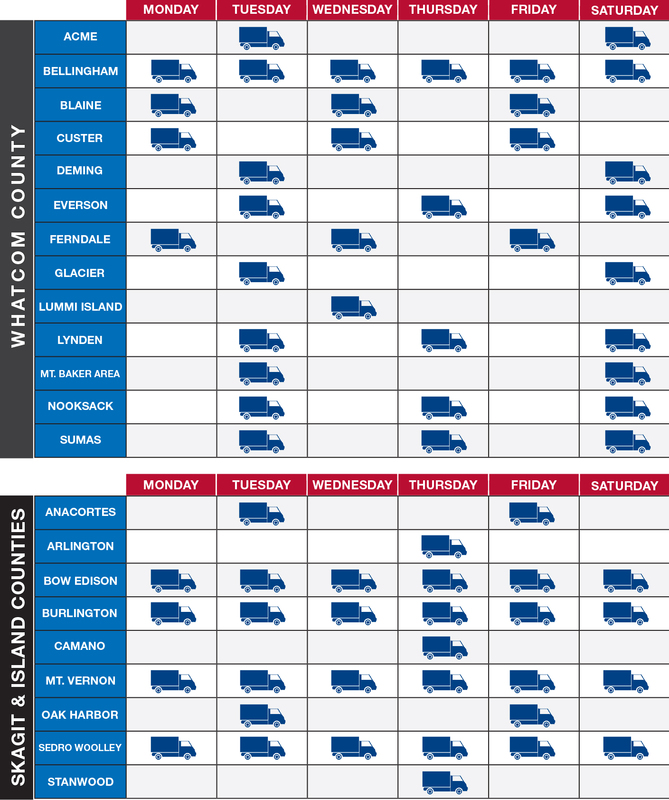 Below is our delivery calendar by region. This schedule is subject to change. Talk to your sales representative about the most current delivery calendar to coordinate a time and date that works best for you! Talk with your Sale Representative to find a delivery appointment from our schedule that works best for you. Coordinate a delivery date and time window preference - a.m. or p.m.
We will call you the morning of your delivery date to confirm your expected time window. Our delivery crew will bring your order to your designated drop off area e.g. garage, top of driveway, etc. Our delivery crew will bring your order into your home and our team will provide custom installation at an additional cost. Delivery + Installation is available on most appliances. Parts & service costs vary. Contact your Sales Associate for details. WHAT ITEMS CAN I HAVE DELIVERED? Talk to your Sales Representative to find out more.